Pigskin gloves have excellent abrasion resistance. Offers greatest breathability because of the porous nature of the hide and becomes softer with use. Inherently retains natural softness after exposure to water. The 34411 features; premium grade black pigskin, Thermosock® lined, wing thumb,orange mesh back, lime and retro reflective material, knit wrist and shirred elastic back. 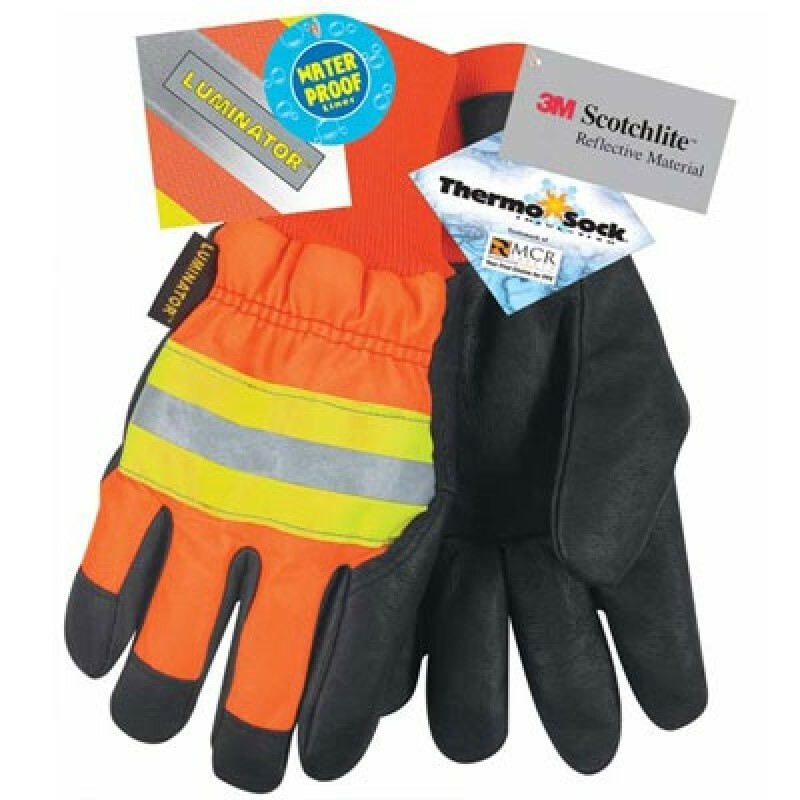 This top grain pigskin leather high visibility glove is lined with a Thermosock full lining for added comfort in cold conditions plus a vinyl liner to waterproof the glove. The 2.5 inch bright orange knit wrist fits snug to help keep out dirt, ice and snow. The bright orange vinyl backing includes 3M reflective tape across the knuckles for added visibility. This high visibility glove is ideal for outdoor, cold general work applications, refrigerated warehousing and highway construction. Note: These gloves must be purchased by the dozen.